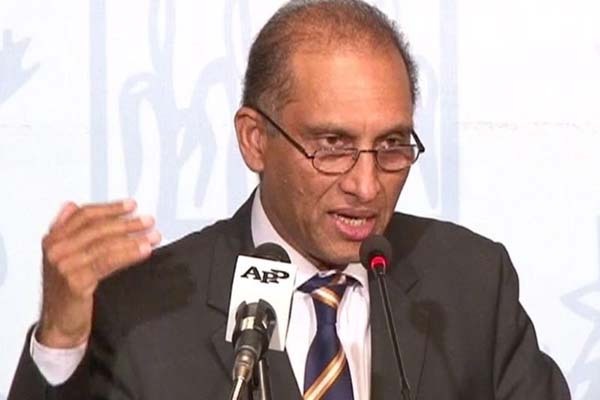 States to make its objetives clear if it wants dialogue or war to achieve peace in Afghanistan, Foreign Secretary Aizaz Ahmed Chaudhry said on Monday. Foreign Affairs at Parliament House, the Foreign Secretary said the U.S representatives had been told that U.S drone strike killing Afghan Taliban leader Mullah Akhter Mansour was a hasty move. The meeting took up the agendas of withdrawal of proposed subsidy on sale of F-16 fighter jets to Pakistan by the United States and the situation arising out of the May 22 drone strike in Balochistan. Foreign Secretary Chaudhry said the United States was oblivious of Pakistan’s security concerns, adding that drone strikes were on priority of the government’s agenda. He said with the United States, “there could be no compromise on certain issues”. He said the United States had exhausted 16 years in war in Afghanistan and had it be better if even six months for peace were given a chance. Aizaz Chaudhry mentioned that according to passport details, Mullah Mansour was travelling from Iran and added that the record of Iranian city Taftan was available as well. However, he said that Pakistan was investigating the veracity of the passport of Mullah Mansour, focusing on the fact that why the document remained unburnt inside the charred car following the drone strike. The Foreign Secretary pointed that terrorists had their safe hideouts in Afghan refugee camps. He said Pakistan had hosted the Afghan refugees for 30 years and called upon India and Iran being the “new friends of Afghanistan” to come forward to share this burden. On halt of subsidized sale of F-16 jets to Pakistan, he said the U.S Congress played a major role in this regard. He said the foreign policy of Pakistan was in the right direction and was in best national interests.